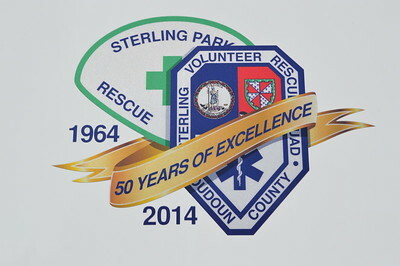 Sterling Volunteer Rescue Squad - Station's 15, 25, and 35. 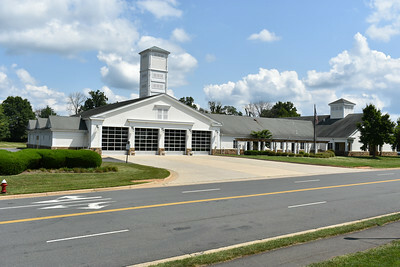 The following are Station 25 apparatus. 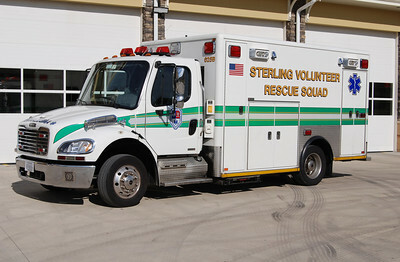 Sterling Rescue's Station 25 houses "Tech 625", a 2004 Freightliner 70 built by American LaFrance. It is equipped with three seats in the cab and a light tower. 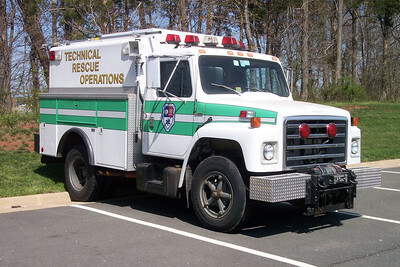 Sterling's Tech 25 with the Technical Rescue Unit trailer. 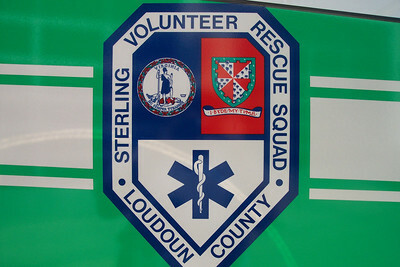 Shortly after visiting the new Kincora Safety Center operated by Sterling Fire and Rescue, Medic 625-B was playing back up reserve at the new Station 35. It is a 2009 Freightliner M2 built by Horton. 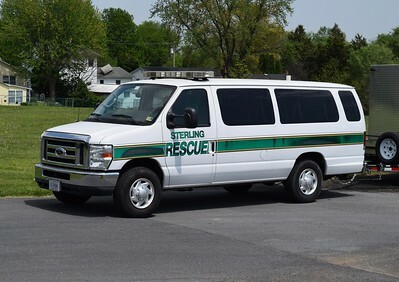 Sterling Volunteer Rescue Squad 625-C - a 2014 Ford F550 4x4/2015 Horton. 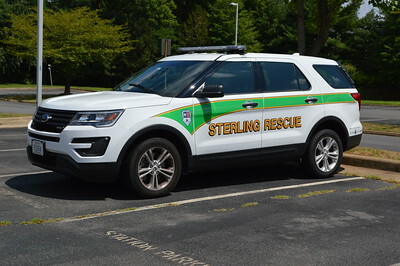 Sterling Rescue keeps one 4wd ambulance on their roster.....the other ambulances are all monster medics. 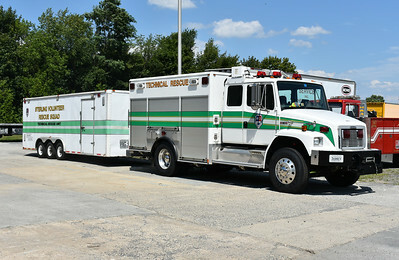 This 2014 Ford/2015 Horton replaced an older 2006 Ford F550/2007 Medic Master 4wd ambulance. ALS 625, a 2016 Ford Explorer. 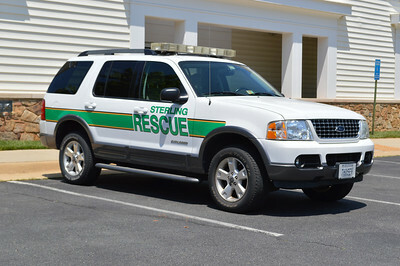 A Sterling Rescue utility (Ford Explorer) kept at Station 25 and photographed May of 2014. 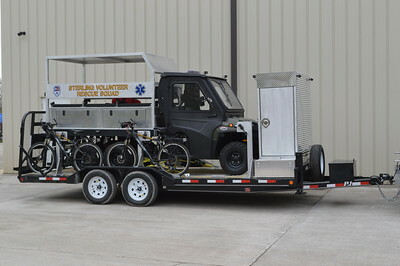 SERV 625 is used to pull the Sterling Bike Team trailer. Keplinger Repair of Winchester, Virginia put together this trailer to transport a variety of items for the Sterling Volunteer Rescue Squad. Work was completed in June of 2015. Old "Tech 25" was this 1983 International S1600 with a body built by Baker. 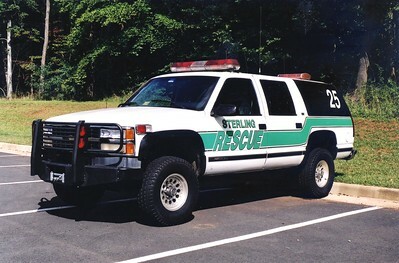 It was an old VEPCO power truck that Sterling Rescue outfitted for rescue squad duty in 1991. It received an additional rehab in 1999 by Keplinger Repair in Winchester. 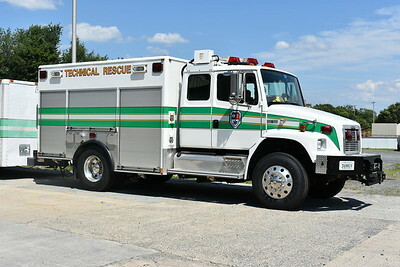 It was replaced by the departments 2004 Freightliner FL70/American LaFrance. 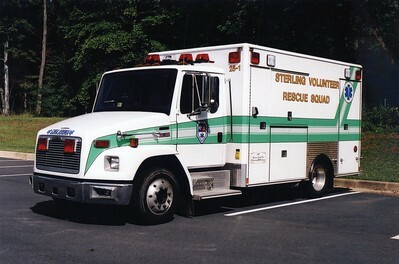 Former '25-1' from sterling Rescue, a 2000 Freightliner 60/Medic Master. 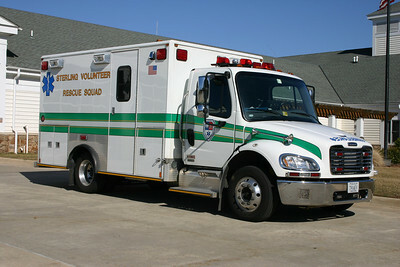 Photographed just after delivery, former 25-1 is a 2005 Freightliner M2/Medic Master. Another new delivery photograph, just after being placed into service. 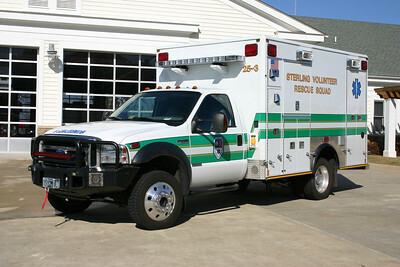 This 2006 Ford F550 4x4 was completed in 2007 by Medic Master. 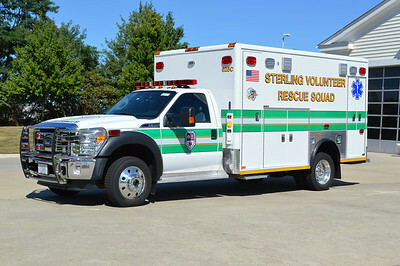 The Sterling Rescue fleet of ambulances/medic units are all "monster medics", except 25-3. This unit was replaced with the arrival of the new Ford. 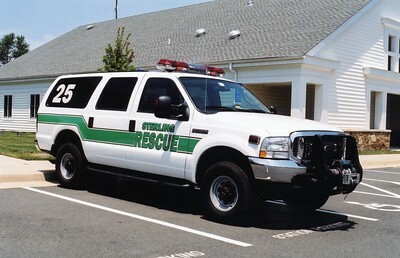 Former Support 25, a 2003 Ford Excursion. 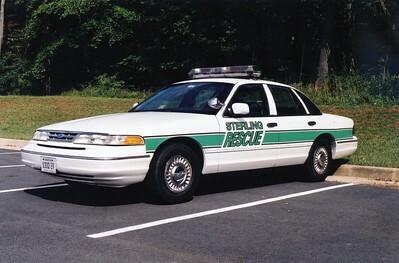 Former SERV 25, a 1993 Chevy Silverado/Odyssey. 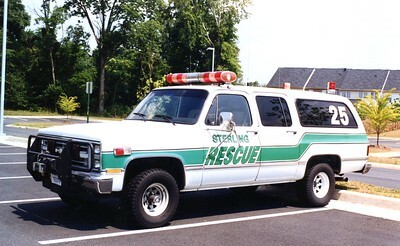 Former Utility 25, a Chevy Suburban.